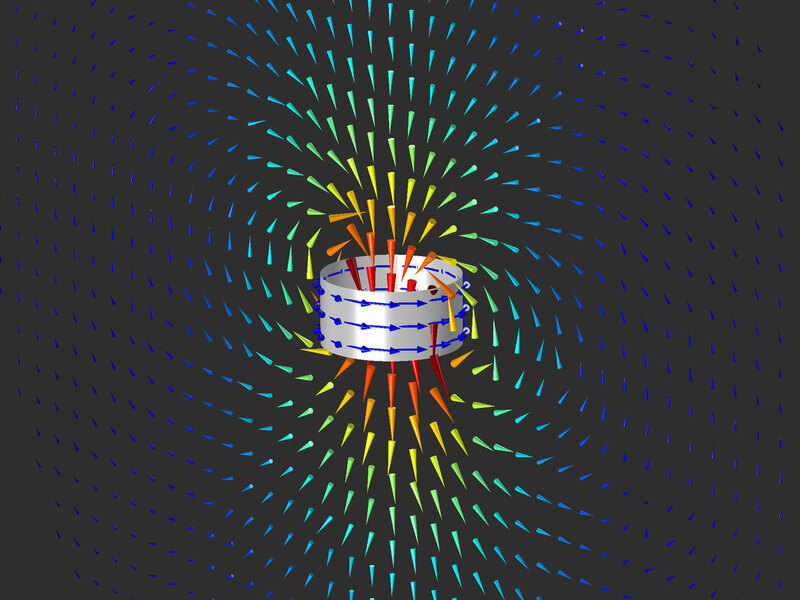 For users of the Wave Optics Module, COMSOL Multiphysics® version 5.3 brings new variables for postprocessing far-field radiation patterns, new default settings to improve your modeling experience, and a new Fresnel Lens tutorial model. Review all of the Wave Optics Module updates in more detail below. 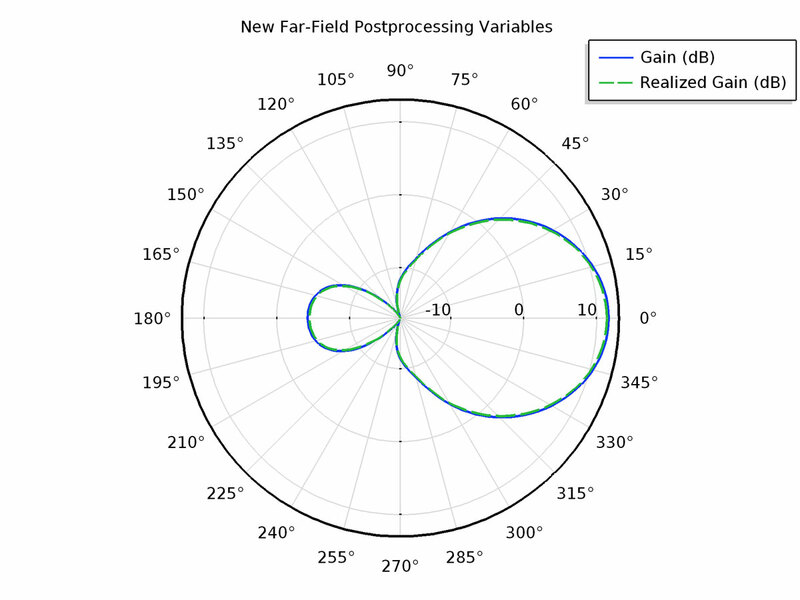 The far-field radiation gain and realized gain pattern on an xy-plane of a new Application Library example, a double-ridged horn antenna at 3 GHz.